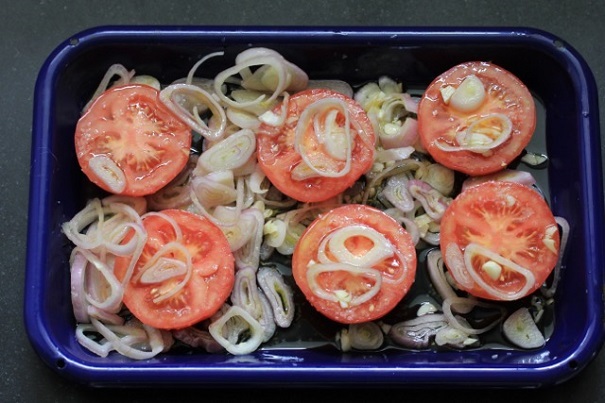 Put shallots, tomatoes, garlic and salt into a baking dish and spoon olive oil over mixture. 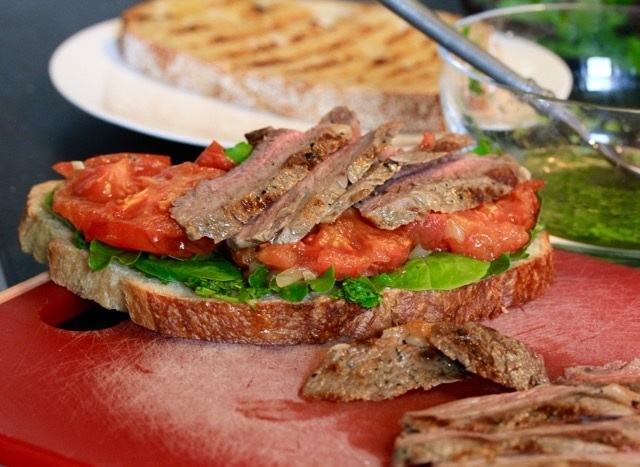 Arrange tomatoes cut side up, and roast until tomatoes start to brown – about 30 minutes. Tomatoes should be tender. Remove tomatoes and allow to cool. Prepare grill and set to medium high heat. 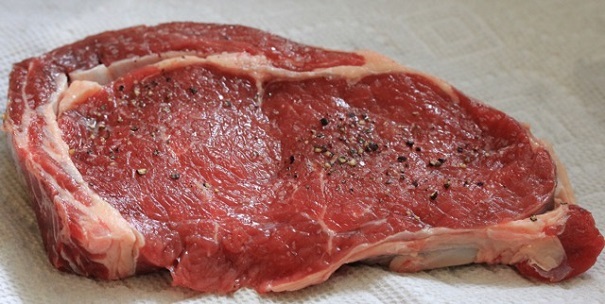 Sprinkle each steak with ¼ teaspoon of salt and ¼ teaspoon fresh pepper. Spray grill with oil, and grill steaks about 5 minutes for medium rare, turning once. Remove from grill and allow meat to sit for a few minutes before cutting. 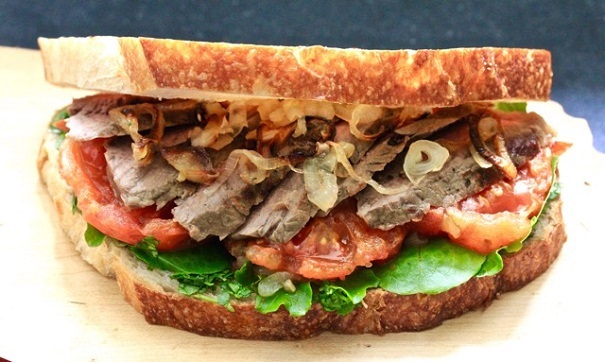 Brush both sides of bread with oil from roasted tomatoes and grill bread on both sides until brown. 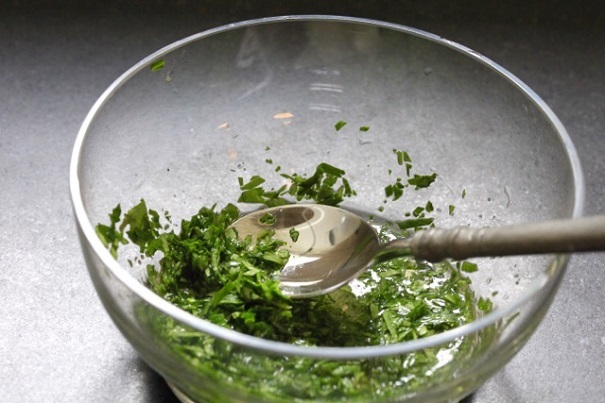 Combine vinegar and sugar, and stir in herbs. 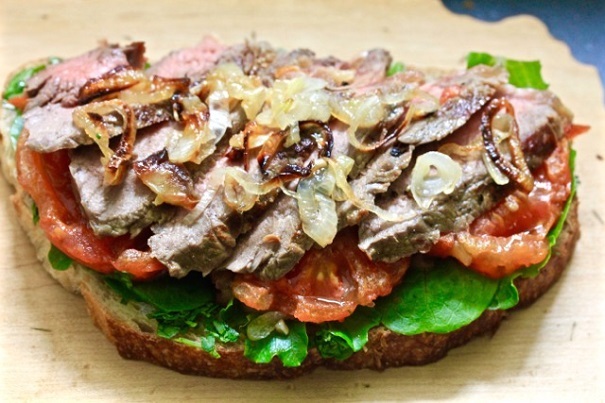 To build the sandwich, spread one side of each piece of bread with herb mixture, slice steaks, stack romaine, tomatoes and steak, and top with shallots. 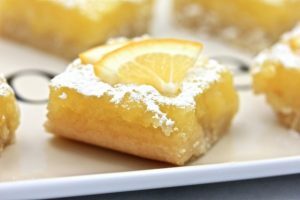 Cut in two and serve.